Take out combined Hospital + Extras cover in February to score a bonus $150 cash card! Enter promo-code HIF150 at the checkout to claim this offer. Offer terms and conditions apply. This offer closes on 28 February 2019 at 11.59pm (WST). To qualify for this promotion, the applicant must purchase a combined Hospital + Extras policy directly from HIF with a commencement date in the month of February (online or by calling 1300 134 060) and mention the relevant promo-code HIF150 at the time of joining. This offer is only applicable to new HIF Memberships who purchase any combined Hospital & Extras policy and opt to pay by Direct Debit. 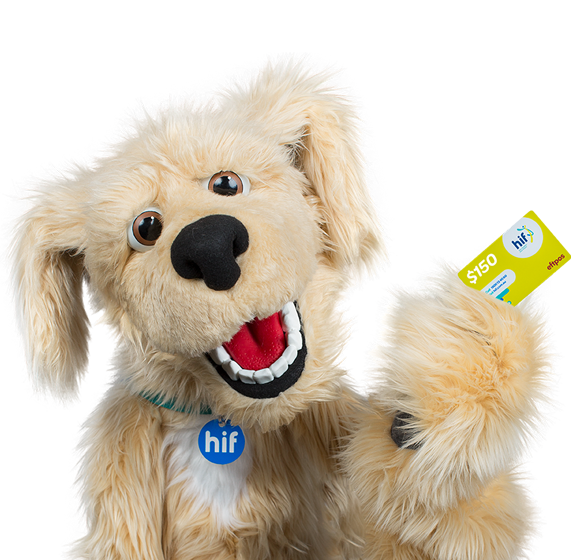 For successful redemption of this offer, the $150 gift will be mailed out to new Members in the form of an HIF branded EFTPOS gift card. For domestic policyholders, the $150 gift will be mailed out to the Member's nominated postal address approximately 6 weeks after the policy has commenced, once one month's premium has been paid to HIF, and the 30 cooling off period has been served. For overseas policyholders, the $150 gift will be mailed out to the Member's nominated postal address in Australia once the policy has been financial for 3 months. Promo-code offers are only available to new HIF Members. If a policy application is cancelled within the 30 day cooling off period, the $150 gift card reward will also be cancelled at HIF's discretion. Ex-HIF Members re-joining within 12 months (including the 30 day cooling off period) of their previous cover will not be eligible. If a new couple/family policy includes any spouse or dependant that has been an HIF Member in the past 12 months, the policy will not be eligible to receive the $150 cash card. This offer is not applicable to existing HIF Members who add a spouse, partner or dependent to their policy. HIF reserves the right to change the promotional offer without prior notice or advice. HIF Directors and employees are not eligible to receive this offer.